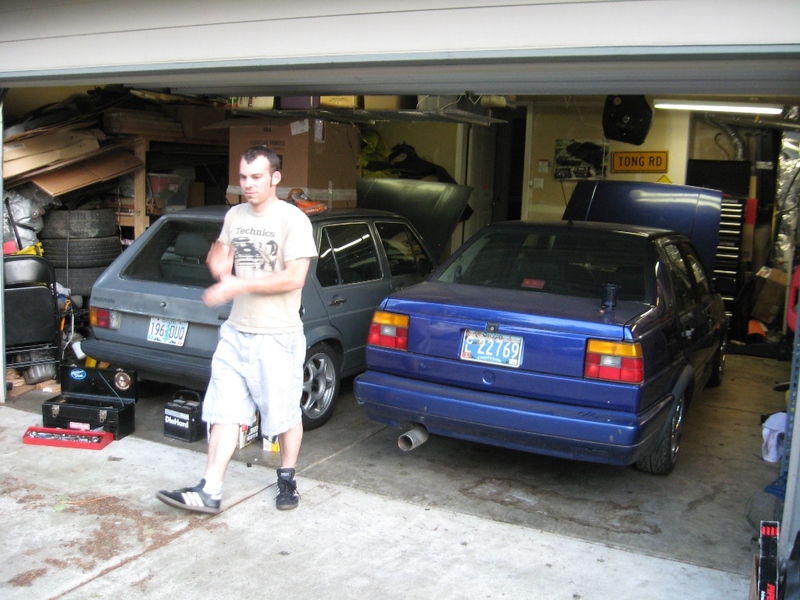 i've been rocking an alh swapped mk1 for a while (and a lot more time building it) but got tired of the intricacies of having a motor in a mk1 that was never designed or destined to be there and getting the heat/ac/etc working. 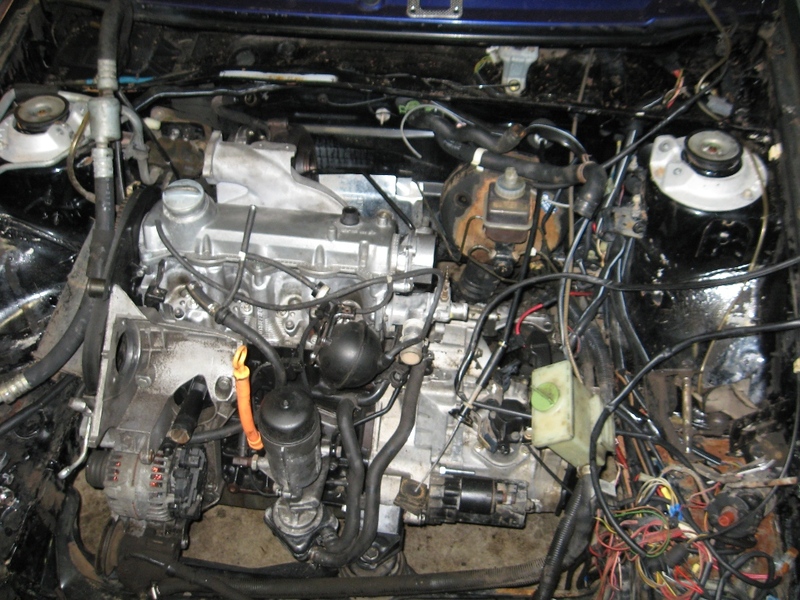 what the mk2 looked like (anybody want a 16v? gt2256 turbo with a 4-1 manifold off the back side, stepping the piping up to 2.5" for the intercooler piping, bigger injectors, the works. the biggest part of the project has been to keep to mostly stock parts - where available i'd rather pay for a brand new factory part or source a used one instead of doing what I did with the rabbit (had to really) of creating so many unique parts that are impossible to maintain or replace without a lot of heartache. 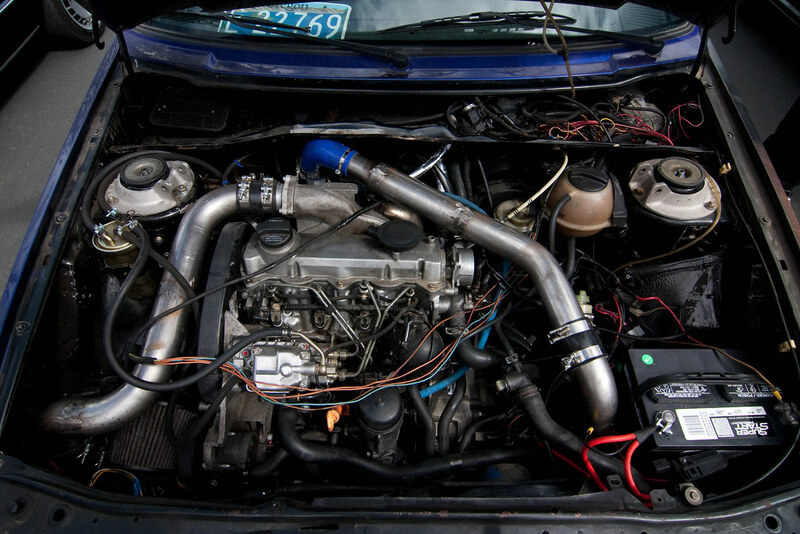 Swap that 16v into the rabbit. We really need breeding standards like they have with dogs. 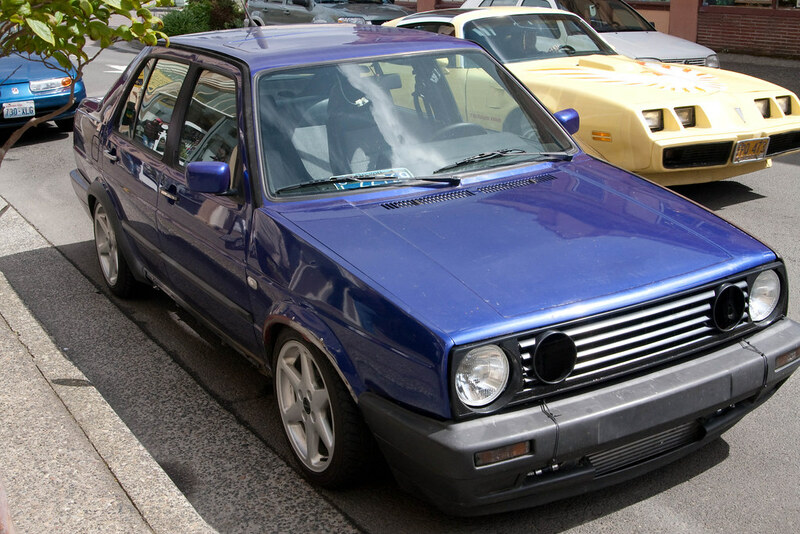 I remember when people modified their Volkswagen to enhance the driving experience. What ever happened to Fahrvergnugen? Bags are for kids that grew up watching Pimp My Ride. Turbo is for all of us that enjoy actual motorsport. thats what the rabbit did, it's amazing how fast 86 horsies feels like when you're making 180+ lb/ft in an 1800lb car. got the stock timing belt parts in and replaced the hack job that I had for hte mk1 mount back to all the stock mk4 thicker tdi timing belt - got rid of the 16v style mounts and back to all of the appropriate covers. 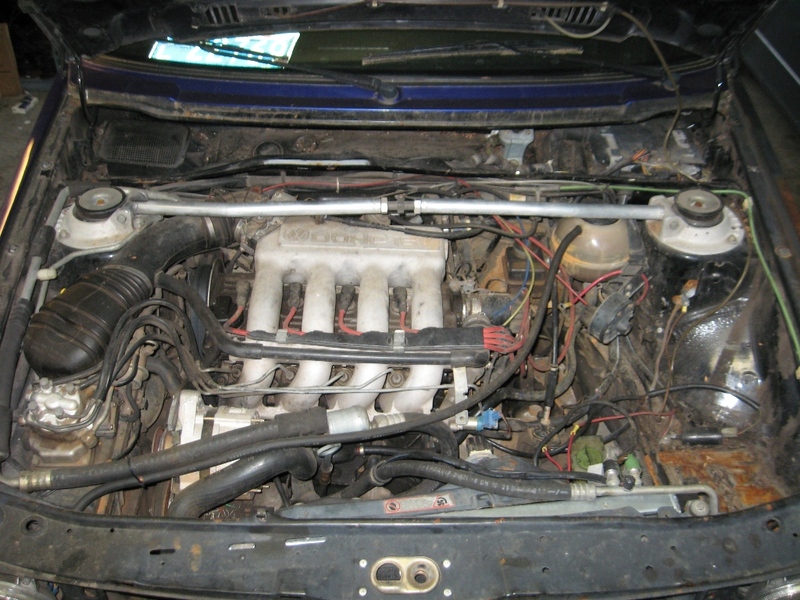 have also hacked up the b4 passat radiator & support so that it fits in the mk2 - the radiator is gargantuan and WAY more then needed but it will bolt up to the cooling hose setup I have with the inlet/outlet on the drivers side better then trying to locate hoses that move it across the engine bay. the rest of my time has been spent getting the custom feed/return lines made and the intercooler mounted & piping being made. thats still in progress - haven't had much time this week to work on it - no leavenworth for the beast. hydro clutch installed with the 'raddo parts and the new brake booster, so factory! Latex gloves are gay, your grille is gay, BBS' are gay, VR lips are gay, you have holes in the knees of your jeans. finally got all the big parts in and working, finding a shifter box that wasn't jacked up required a cable from VW, had to sort through my pile of parts to find radiator parts that work and had to do a lot of low grade welding for the intercooler piping but its all in and it at least runs! you can see I still haven't hooked up the fuel tank so i'm cheating a bit... the wires are all messy but thankfully the CE2 conversion I did in the rabbit meant that my wiring from that plugged right into the fuse box and I didn't have any drama for once with wiring. ignore the ugly welds - they don't leak too much... still to mount the fuel filter in that area and the MAP sensor in the piping but there is ample room along that side. You could always call your insurance and say that some vandals tried to swap your car to rwd while you weren't looking. no one gives a **** how many post's you have. I'm going to bump this back up becuase i've been working on the car again. I took it to the crosshaul cruise over the weekend and out to hood river and back this weekend - the first 500 miles without any real issues. did coilovers and new wheels. got the fuel lines plumbed into the tank properly instead of hte back seat and started cleaning up the wiring. picked up a mk3 tdi wiring harness to hopefully clean up the engine bay. I got a 'raddo speedo cable but it needed a little adapter cable from a mk2. and of course the custom made vnt actuator got loose so I'm currently driving the car around with pedal controlled boost. My two big goals now are the wiring cleanup and getting back to the mk2 stock radiator so that I can easily fit a condenser in the front (ideally the stock one for less drama) so that I can get the AC all setup and plumbed (as i'll need custom lines. Looks good. Did you say you were going to convert to Mk3 wiring? I am going mk3 engine bay wiring - i'm going to see how much of it is compatible with my early mk4 ecu wiring and stuff. big parts i'm looking to leverage are the glow plug harness and the cooling harness so I can keep it ce2 instead of reinventing more mk2-> mk4 connections to plumb AC wiring. I had been rocking the passat vr radiator which is GIANT and moving to the smaller radiator left me a lot of room for the condensor & smaller mk3 rad fans. The condensor was the last of the big pieces I needed for AC - now it's all about lines & cooling system wiring for that. I also etch primed most of the boost piping to fight exterior rust - found a few boost leaks too. Have a mk3 kframe, new bushings to tighten up the A-arms & tie rods are coming in today. new clutch gets here today too. so can we see a dyno for this thing? if not this car another one comparable to it? i want to see what a big turbo diesel vw can put to the wheels. is there anyway to get a new uni body? i'm signed up to dyno at waterwerks in July. I have a dyno from the stock turbo/nozzles/pump w/weird tune and it was 88horsies/180 torque to the wheels. 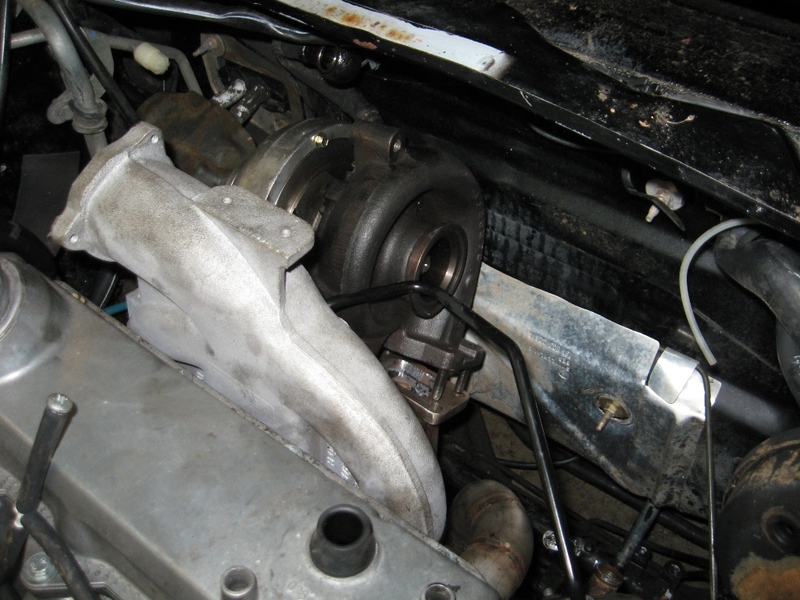 is a similar setup with a smaller turbo - an 1852. I'm currently running an 11mm pump (the bigger automatic pump) and I'll be limited by the nozzles I have in right now - powerplus 520's - had to pull the race 520's when they got gooe'd up from a bad pump in need of a rebuild. My goal is 250 hp to the wheels with a max of 400ft/lbs otherwise i'll start grenading trannies/axles. You will then have to run an additional wire or two for the MAF. The guy with the Mid-egine TDI Corrado did this. Talk with him. I think this is what a lot of us will be doing at some point as the mk4 motors are much more common and yield more potential once you get past the wiring. Why not run a Mk2 or even a mk1 radiator? After having done a number of other engine swaps since my TDI corrado I don't think I'd use a DS inlet and outlet radiator if I have it to do all over again. In fact if my radiator needed replacing tomorrow I'd use a mk2 or even a mk1 in a heartbeat. For the A/c system wiring why not use the mk2's? granted the dual relay thing is old an antiquated but its simple and works well when all of the wiring is in good shape. Besides the relays are cheap in comparison to the mk3 module. The A/c mechanicals are a little tricky so i'll let you use your best judgement but I think I've said I'm a fan of converting the evaporator to a mk3 and then using a hybrid of SLC and Mk3 lines. good junkyard runs are the BEST. I want to keep the mk4 ECU - it's just easier to work with with the power goals I have in mind than going to the mk3 one that has to be hacked to work with a fairly mild power increase/stock setup. Looking at the plugs I'm pretty sure the wiring harness at least the big plug on the ECU is the same size - I haven't run any of the wires down to see if they are the same but the early mk4 harness I have is very different plug wire than the later ones - i'm thinking it's closer/based on the mk3 stuff. I searched and searched on how to run a mk2 rad so I could run the stock condenser and thus a good portion of the stock AC lines with no drama but the ALH's and their internal water pump blocks are a PITA to get the right hose setups for - I went with the easier mk3 setup (besides, it's newer and easier to find parts for...) with the vr setup so it has drivers side plugs. I didn't want to go mk2 just because of the wiring issue - it's very functional and the relays are cheap new but it's impossible (and I've looked) to find a good condition setup of wiring. where as it isn't too difficult to find a mk3 fan relay in the junkyard for a few bucks it's nearly impossible to find mk2's with good wires and the time/cost involved in rewiring isn't worth it to me when I can use a "simpler" to plug in mk3 setup. The condensor -> drier -> interior is a pretty straightforward run and can be mk3 without drama - the interior -> compressor -> condensor run is going to be more complicated but the mk3 plug looks to be the same plug as the mk4 compressor so maybe only pipe lengthening is needed? 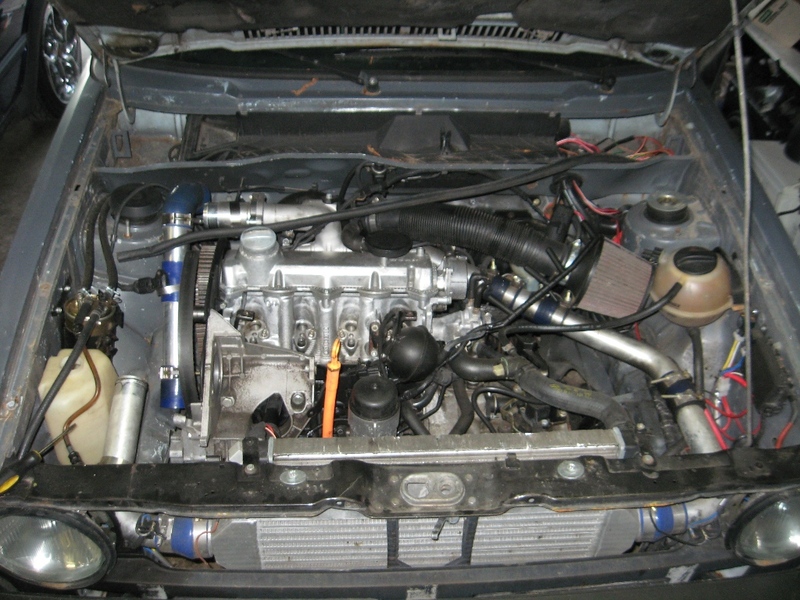 The thought of converting a mk3 wiring harness to run a mk4 99.5 ECU had never occured to me. I like it. You might have to add a wire or two for the Map sensor but Otherwise it sounds like a slamdunk. What are you doing for the Instrument cluster, mainly the tach but now that there is a tach thread on the TDIclub you might be beyond that issue already. wow those are some awesome numbers.